3⁄4 of the way up the West coast highway to Todos Santos from Cabo San Lucas sits Pescadero. A tiny town with huge culinary influences from across the globe. Farm- to-table, luxury acclaimed Baja-grown coffee & organic markets; this pueblito is always a great stop on your way to La Paz. Our trip took us directly into the heart of the town where we found Carlito’s Place, an Asian-inspired seafood bar that is serving oriental favorites to all inhabitants and visitors of the Baja Sur. 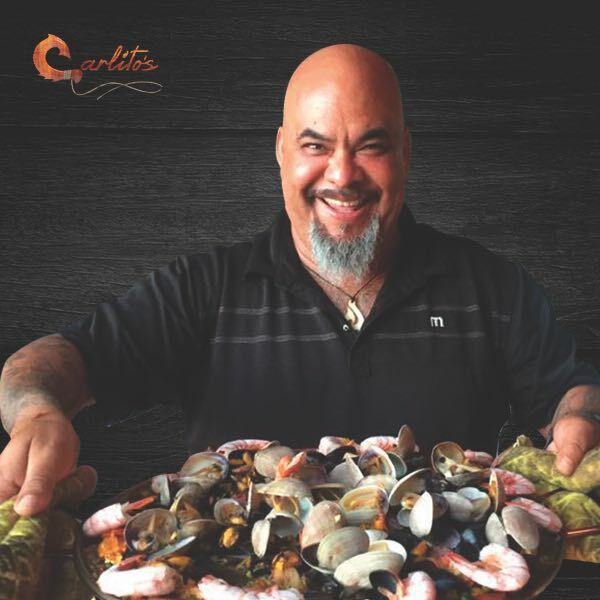 Since 2008, Carlito himself has been manning the kitchen and grooming his staff to be one of the top competitors in Asian cuisine. His wife, the lead hostess, manages the restaurant as he husband inspires the food. From raw fish & seafood to salt duck, the options on the menu will have alternatives for everyone and their vegetarian friends. Uni, Commonly known as Sea Urchin, is an oriental delicacy that is either A+ or D-, with very little fluctuation. With this being said, Uni was on the special menu that evening. Outdoor seating for approximately 50 people leaves for a quaint atmosphere as you are greeted by Taco & King Kong, the resident pups that tower at about 10 inches tall. The seating area has a 360 degree view of the bar, sushi preparation area, and the professional-grade kitchen that Carlito calls home. Laid across a raw oyster, the Sea Urchin was flawlessly cleaned and was a great pre-cursor to the meal we had planned. Curried vegetables and the Fried rice special, consisting of chicken, steak, shrimp and Chinese sausage hit the table first. The spice of the vegetables, mixed with the blending flavors of protein laced within the rice was a combo that will cause my return in the near future. The passionfruit and mango margaritas, served in a cactus-esque glass, remind you that your still in Mexico as you enjoy wonton soup that could be sold in any Chinatown across the US and Canada alike. With nothing but great things to say about the establishment, the food is worth the drive. Directional signs and ocean views are you only landmarks while making this trek; we certainly recommend a rental car for tourists looking to explore what the west coast has to offer. None of the restaurants reviewed are ever aware that Destino is attending for research purposes; the results are completely at the mercy of the staff when reviews are collected. Carlito’s Place, like the rest of our local joints, did not disappoint & clearly showed why it has won a TripAdvisor Certificate of Excellence. Find out more on Facebook @carlitosplaceinpescadero! We here at Destino want to remind you that good food is best shared with great company; happy eating!